This post is part of an author blog tour about the writing process. Thanks, Elena Dillon, for tagging me in this blog tour! There is lots going on. Book six in the MacLarens of Fire Mountain series, Wilder than the Rest, and book three in the MacLarens of Fire Mountain contemporary series, One More Day, are in the editing process. My new series, Redemption Mountain, is officially in progress. It takes place in the mid-1800s. The books will be historical western romances and I’m very excited to finally get these stories on paper my readers. Another historical western romance series is planned for 2015. I am very busy! Readers tell me my writing is character focused, meaning that the reader gets to know and connect with the main characters as well as sub-characters. There is a feeling of “I know them,” which is very satisfying. Most of my writing is within a series, so a sense of connection with characters is important to drive the stories from one book to another. Another difference is the action and adventure associated with my books. My stories are romance, yet there is much more to the stories than boy meets girl, then they fall in love. At times readers will find equal parts of romance and action in my stories. For me, this combination moves the story along more quickly than with many other romance books. I have quite a number of male readers and I believe my stories appeal to them due to the fast-paced style. My major in college started out as American History. Through the years the major changed, but my love of historical America did not. My favorite period has always been 1765 through 1890, and it is within this time span that my historicals are based. Although I enjoy writing contemporary romance with hints of romantic suspense, my heart is always drawn back to historicals. Ideas come from everywhere—dreams, people watching, other stories. For me, they mainly just pop into my head. I jot down every story idea, not ignoring any thought as I never know when a theme will develop into a full novel. I use spiral bound notebooks for each series and one for each story within a series. These are used to outline basic story ideas, record character names, ages, locations, and themes. At some point all this is transferred onto spreadsheets. These ‘tools’ are used as the basis for each story. The difficult part of the process is getting the uninterrupted time to write. It’s hard to write every day. That’s my goal and some days I write 4000 – 5000 words, while others I stall at 1000. The important thing for me is to make time to write each day. I’d love to hear your comments and questions. A romantic-suspense writer, Carmen writes novels that overflow with romance, mystery, suspense, and sometimes a hint of paranormal. And, of course—tragedy—after all, what would a great story be without a heartrending event setting the stage? 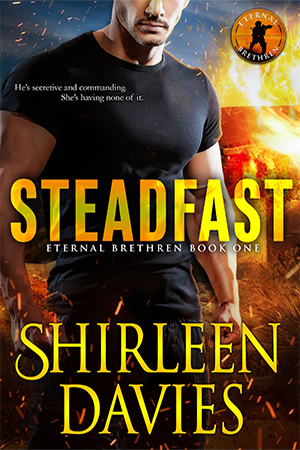 Great post, Shirleen! I love reading about other authors’ processes. I also love romance with that extra dose of action or mystery. A straight romance doesn’t keep me reading. I have your books and can’t wait to dig in. Thanks Carmen! I’m looking forward to your post next Monday. 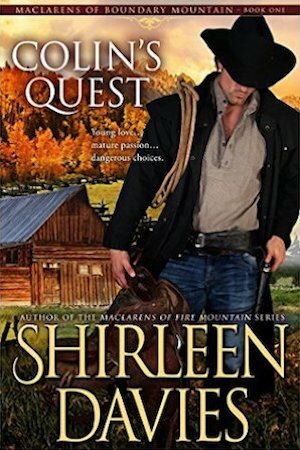 What do you like best about historical western romance? I enjoy reading about the descriptive scenery and how they lived during those times in the west. I agree, Edythe, about the scenery and the time period. Although people were polite, they spoke their mind without concern for being politically correct. Life was hard but less complicated. Coutesy was the norm, not the exception. I had a hard time finding the blog to comment in your rafflecopter giveaway and I’m not even sure if this is the right spot. :) I love historical locations and scenes/manner of dress/, the people and times, especially old west and medieval times. It fascinates me their constitution in living through things I would consider impossible. I like the way people communicate with each other too. You found the right spot, Diane. I couldn’t agree more with your comments. They’re the reasons I love to write in this genre. Just curious when book #6 might be available for kindle. I have read the first five and just love them! Thanks Merly. I appreciate your thoughts and I’m glad you enjoyed the books. Most of them do include some elements of suspense, action, romance, and adventure as well as romance. All the best.